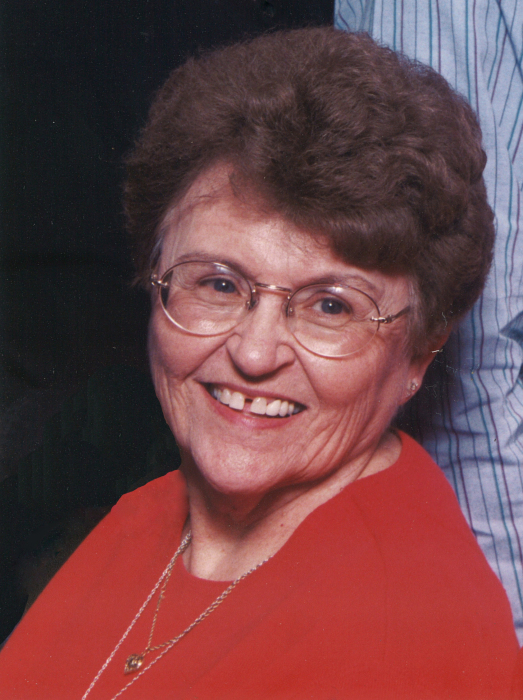 Evelyn Phillips, 89, of Coleman, died April 3, 2019 at Holiday Hill Nursing Home. Visitation will be from 6:00 p.m. to 8:00 p.m. Saturday, April 6, 2019 at Stevens Funeral Home, 400 West Pecan Street, Coleman. Funeral service will be 2:00 p.m. Sunday, April 7, 2019 at Stevens Funeral Home Chapel with Rev. Jeff Dean officiating. Burial will be at Eastlawn Memorial Park in Early. She was born Betty Evelyn Cowin on April 27, 1929 in Rising Star to Virgil Eugene Cowin and Albie Leona Hartin Cowin. She grew up in Milburn and Brownwood, where she attended school. On November 8, 1946, she married Rev. Archie Ernest Phillips in Brownwood. Mrs. Phillips worked in the cafeteria at Brownwood Memorial Hospital for several years. She also sold Avon door-to-door. She was active in church activities, alongside her husband, teaching Sunday School and Girls in Action (G.A.’s). In 1968, they moved to Coleman. Mrs. Phillips was the Women’s Missionary Union director of Coleman County. From 1973 to 2011, she worked as the secretary at Phillips’ Agency in Coleman. Mrs. Phillips was a people person. If she didn’t know you when she first saw you, she would get to know you in a matter of minutes. She was a faithful prayer warrior. Not only did she pray for family and church members, she prayed for everyone. She was a member of First Baptist Church. Survivors include four children, Loma and Rev. Jeff Dean of Coleman, Brenda and Rick Guill of Midland, Mark and Betty Phillips of Alba, Berry and Johnna Phillips of Coleman; two brothers, Virgle and Shirley Cowin of Brownwood, Travis and Casey Cowin of Lubbock; 12 grandchildren, Lou Beaird, Melissa Sanchez, Sara Olguin, John Mark Richardson, Joni Young, Becky Michaels, Andy Phillips, April Coco, Shannon Phillips, Cody Phillips, Taylor Phillips and Blair Phillips. Also surviving are 21 great grandchildren. Mrs. Phillips was preceded in death by her husband, Rev. Archie Phillips on February 21, 1996 and two brothers, Terry Cowin and Jerry Cowin. Condolences and remembrances for the family may be left online at www.livingmemorials.com.